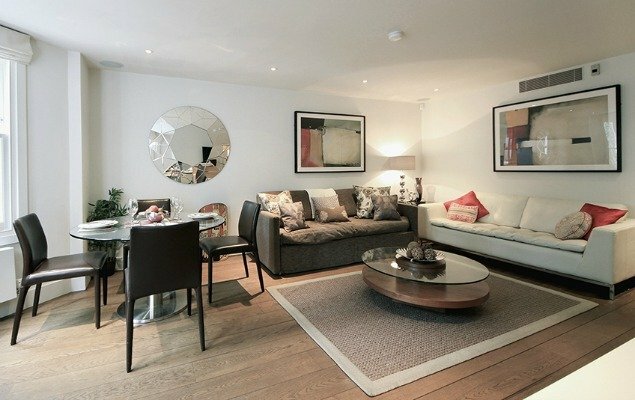 Long-Term Stays Now Available at the Stunning Gladstone Apartment! 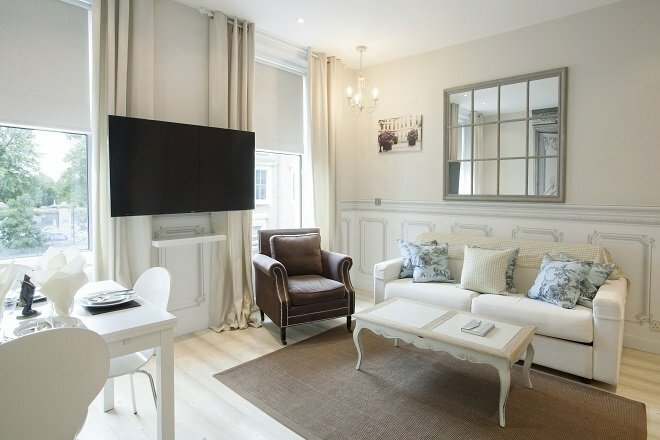 If your work/life schedule allows some extra time in the wonderful London capital, the most comfortable way to spend your time is in a vacation rental that feels like home. The stylish Gladstone vacation apartment is opening its door to long-term stays and we think you will love the amenities offered at this stunning rental. 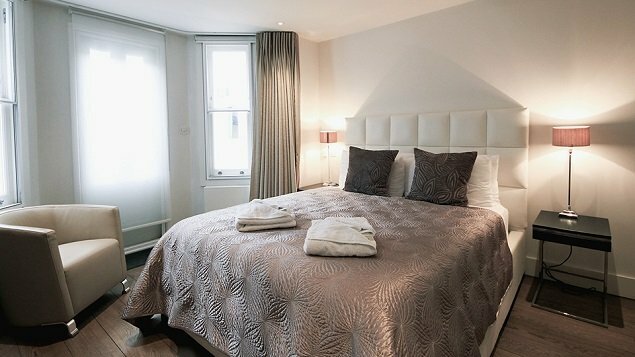 If you are looking to stay in London for an extended period, bookings of 4-12 weeks (84-93 nights) will be at the reduced rate of £1,350 per week. For longer stays of 13 weeks or more (94 nights plus), the rate will be £1,250 per week. This incredible offer also includes your starter supplies, as well as utilities and two cleanings per month. Contact us here to find out more about this amazing offer! This beautifully remodeled two bedroom, two bathroom apartment offers plenty of space for you and your family while on your London stay. The plush and comfortable living/dining area is a relaxing haven, and is perfect for entertaining or simply unwinding with family and friends. The rental has a wonderful master bedroom, with a queen-size bed and the added bonus of an en-suite bathroom. 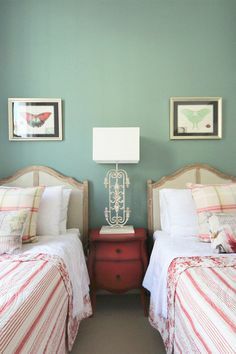 The second bedroom has a comfortable double bed. 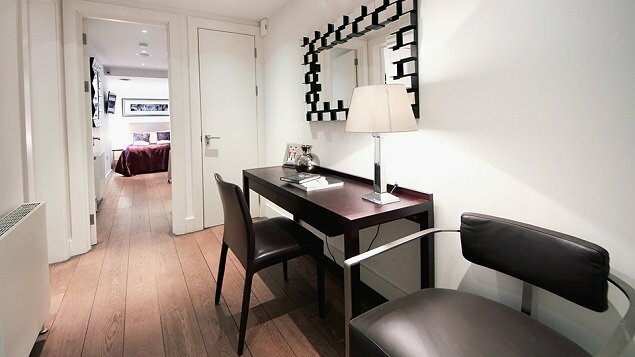 Both of the stylish bedrooms also come with a 32″ Samsung flat-screen television. The two bathrooms are perfect for when traveling with family, with bathroom one having a large walk-in shower, and the second bathroom located conveniently off the main living area. 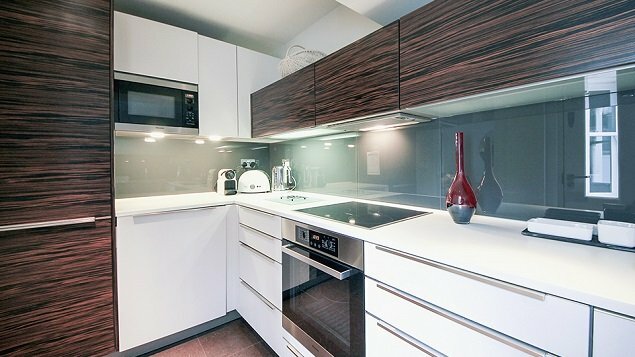 As you make your way into the beautifully designed, fully-equipped kitchen, you can be sure you have every modern convenience at your disposal, including a four-burner hob, dishwasher, Nespresso machine and underfloor heating. 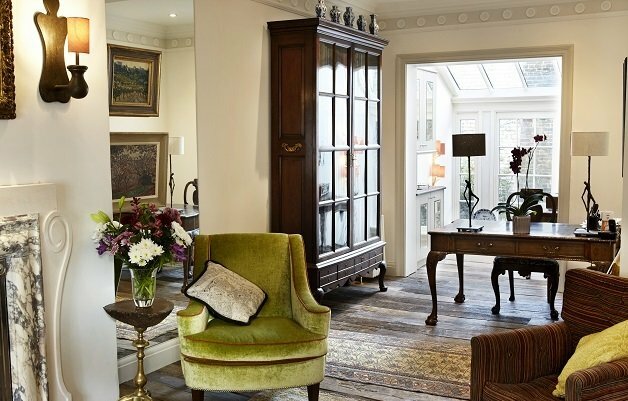 You will be thrilled to discover your apartment is conveniently located near to London’s exclusive Holland Park, as well as the bustling Shepherd’s Bush area. You are only a five minute walk to the popular Westfield Shopping Centre, with high-end designer and luxury brands making it the perfect shopping excursion. A visit to Holland Park Avenue is also a must where you can enjoy some of the areas finest cafés and restaurants. Take the opportunity to pack a picnic and spend time in nearby Holland Park and then explore the peaceful Kyoto Japanese Garden. This 2 bedroom, 2 bathroom rental offers plenty of space if you are traveling with family, and at this reduced rate, will certainly help make your time an enjoyable one! 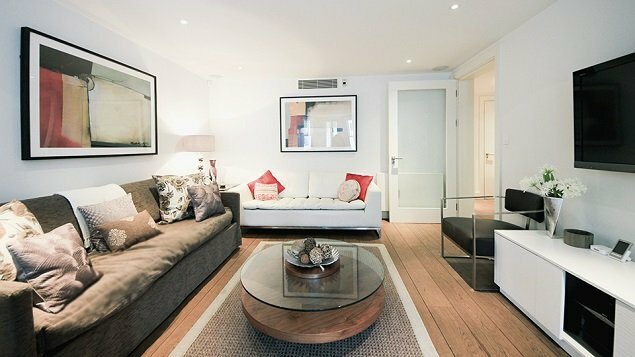 Contact us here to discuss renting the Gladstone apartment for your next London stay. Posted on Wednesday, December 9th, 2015 at 2:32 pm in Apartment Rentals. You can follow any responses to this entry through the RSS 2.0 feed. You can leave a response, or trackback from your own site. 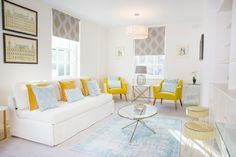 Outstanding Offer for Long-Term Stays at the Stylish Addington Long-Term Stays At The Stunning Austen Rental Be the First To See The Stunning Remodeled Pelham Apartment! Be the First to See the Stunning New Wellington Rental!